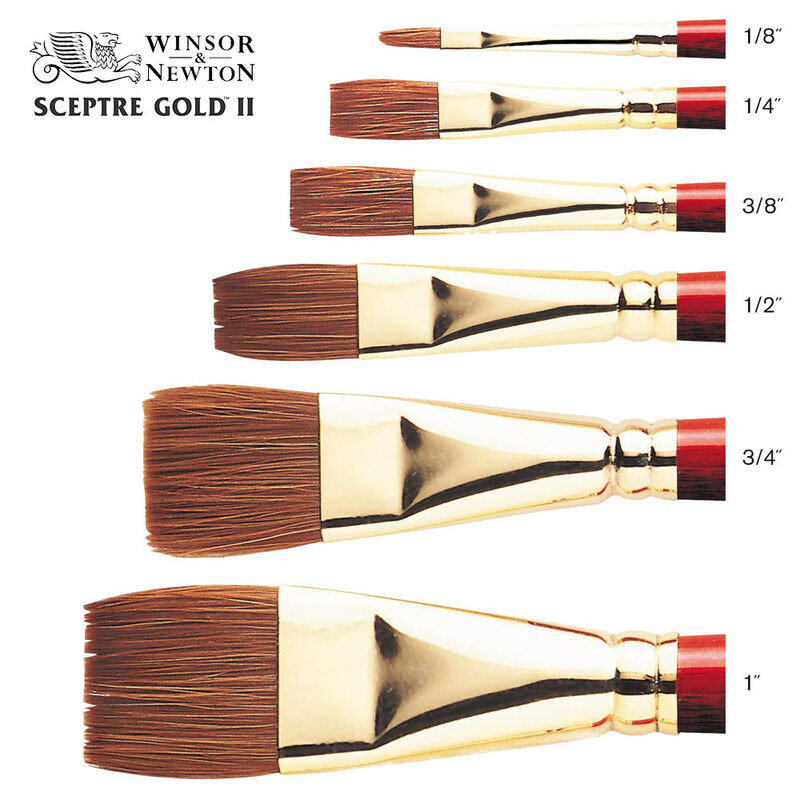 These flat brushes give firm, sharp lines for lettering and one stroke work.They possess great spring and colour carrying capacity. Seamless, golden brass ferrules. 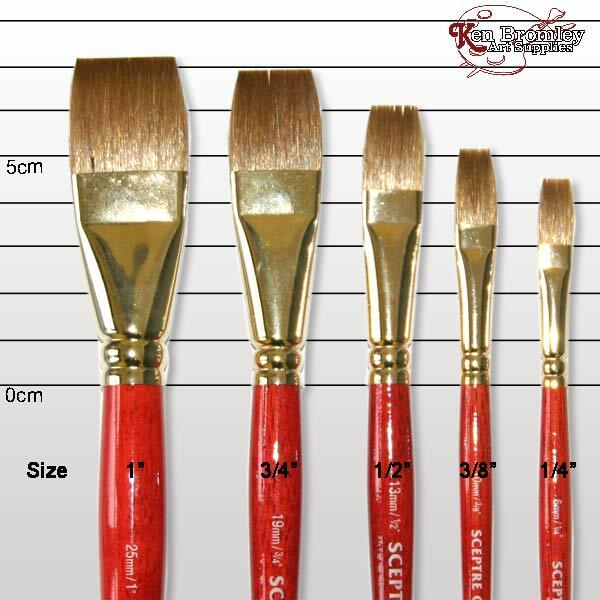 Red wood-grained polished handles. Good brush, I like it a lot but it did arrive lightly disheveled, which is a downer. The brushes should arrive in perfect condition. One way to reshape nylon brushes with the odd bent hair is to place it in boiling water for a moment and flick the brush so all the hairs come into the correct shape. This should handle the problem. If anyone receives defective products from us, please contact us directly so we can sort out any issues.